As the toes fail to align themselves, the pressures surrounding them can change the way the forefoot works in conjunction with the kinetic chain of the lower extremity. The most common outcomes from this progressive disorder would include; callouses, skin ulcers, nail changes, neuromas, pain in the metatarsals, and destruction/displacement of the underlying fat pad to the forefoot. 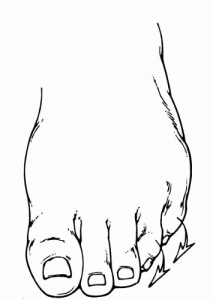 Due to biomechanical dysfunction or overt trauma, a displacement of the pull surrounding the toe can occur placing it in one of several common malpositions. While there are many conditions contributing to the formation of hammertoes including; trauma, systemic disease and peripheral neuropathy, there are three common biomechanical etiologies. Once understood, steps can be taken to arrest their progression. Flexor Stabilization occurs in an (over)pronated foot as your heel lifts off, and you propel forward with each step. This will result in a predictable incurvation of (usually) the outside two toes. 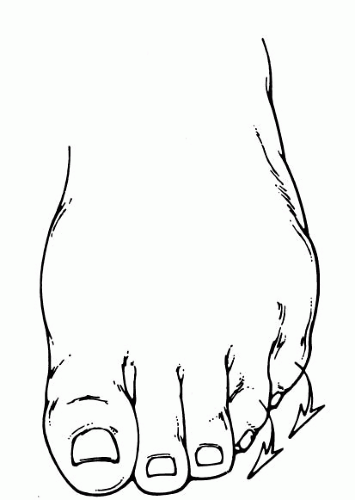 Many times with this type of position, a callous may occur on the outside border of your toenails, or a soft callous (heloma molle) may develop between the toes as the boney prominences rub together. 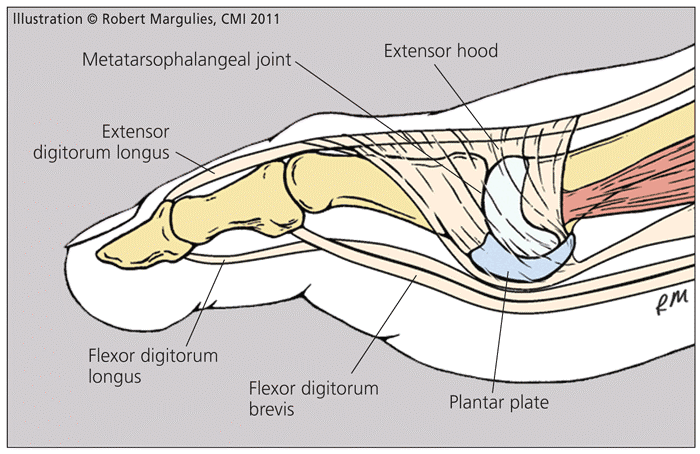 Flexor substitution occurs in an (overly)supinated foot in which the contracting muscles on the bottom of the foot/toes, overpower those between the metatarsals. This will usually result in a straight contracture, with skin breakdown at the tips and dorsum of the affected digits. 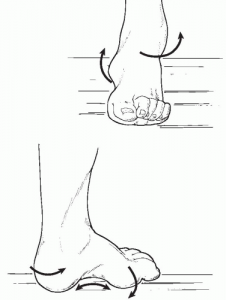 Extensor Substitution, unlike the other two occurs in the swing phase of gait as the result of a tight Achilles tendon. As a result, the extensor tendons from the anterior leg are fighting against the tightness in the soleus and gastrocnemius of the posterior compartment. Over time, “form follows function” and the toes simply remain dorsiflexed at the bases and plantarflexed at the mid-joints. This will traditionally carry the fat pad of your foot forward, leaving the metatarsal heads prominent on the bottom of your foot. This like Flexor Substitution can leave you vulnerable to skin breakdown on the dorsum or tips of the digits. Pay attention to your genetics. 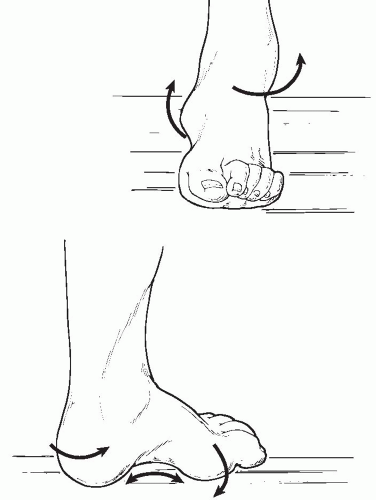 While hammer toes are not necessarily a genetic trait, your stature and function are. As such, your inherited tire alignment will likely result in a predictable tread wear similar to the generations before you. Take the time to self-assess structural changes in your body as you get older, … just as we watch for things like maximum heart rate and aerobic capacity. Wear appropriate shoes that fit well (like they were made for you), and replace them every 6 months with regular use. If you feel that you could benefit from an over-the –counter arch support, give it a try. These are inexpensive, and do little harm if used with caution. Stretch! Of all people who know the importance of flexibility (especially over 40), I even find myself not always stretching as well as I should. Of notable importance is the runner’s stretch, which is particularly beneficial after a workout when your tissues are most pliable. If you find the need for help beyond that of good solid training habits, your physician can help in several ways. It’s always difficult to self-assess your own biomechanics, as the subtleties need to be observed from an outside perspective. I’ve seen a great deal of literature on analyzing a person’s golf swing, but the same holds true for runners. Your podiatrist will be able to evaluate subtleties in your shoulders, hips, knees and ankles that may go unnoticed from your perspective. 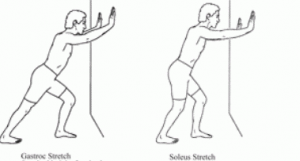 This will also be correlated to strength, flexibility, symmetry, and assessed for any imbalances. Any malposition or new prominences can be evaluated radiographically. X-rays are a great way to see where you are today, and can be used to correlate an expectation for the future—as many changes in the feet follow a predictable pattern of progression. If your hammer toes are flexible, there is a chance that they can be controlled conservatively with a gain in flexibility (in other areas of your lower extremity) as well as treating the biomechanical cause with custom orthotics. If your hammer toes are rigid with pain or breakdown of the skin, there is a chance that surgical intervention will be needed to restore function and offload the malposition. As always, your podiatrist will explain the risk vs. benefits of such a procedure and help determine if this is the right course of action for you. Run safely my friends and have a safe and healthy Holiday Season. Dr. Randall Kline is a board-certified podiatrist specializing in injury, wound and diseases of the foot and lower leg. Contact Allied Bone and Joint at (574) 247-4667 or request an appointment online.